by Helmut Anheier and Diana Leat, published by Routledge, 2019. Professor Anheier and Professor Leat will be joined by discussants Dr Jonathan Roberts, the Marshall Institute, London School of Economics and Dr Justin Davis Smith, Centre for Charity Effectiveness, Cass Business School. The seminar will be chaired by Professor Jenny Harrow, CGAP’s Co-Director. Cass Business School, City, University of London, 106 Bunhill Row, London, EC1Y 8TZ. 2019: New York. Bloomsbury. 280 pages. The Union of International Associations (UIA) was founded in 1910, aiming to coordinate the relations and interests of international organizations across the world. Its long history makes it a prism through which to study the field of international organizations and its dynamics. 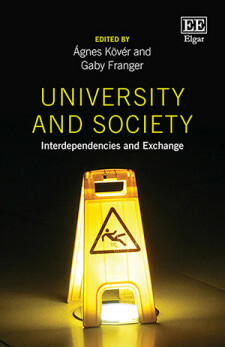 Bringing together experts from fields including history, political science and international relations, architecture, historical sociology, digital humanities and information studies, International Organizations and Global Civil Society is the first scholarly book to cover both the UIA's early years and its more recent past. Key issues explored include the UIA's importance for the field of scientific internationalism, the relations between the UIA and other international organizations, and the changing position of the UIA when facing geopolitical challenges such as totalitarianism, the World Wars and the Cold War. This important book addresses a number of current scholarly concerns: the concept of "global civil society"; the development of international relations as a field of study; the investigation of transnational factors in modern and contemporary history; and the tracing of forerunners to the "information society". 2019: Honolulu: University of Hawai'i Press. 256 Pages. At OISCA training centers, Japanese and local staff teach sustainable agricultural skills and organic farming methods to rural youth. Much of the teaching involves laboring in the fields, harvesting produce, and caring for livestock: what they can’t use themselves is sold at nearby markets. Watanabe’s detailed and multi-sited ethnography shows how Japanese and Burmese actors mobilize around the idea of “becoming one” with Mother Earth and their human counterparts within a shared communal lifestyle. By exploring the tension between intentions and political effects—spanning environmentalism, cultural-nationalist ideologies of “Japaneseness,” and aspirations to make the world a better place—Watanabe highlights fascinating questions and both positive and negative outcomes. Becoming One weaves together vivid descriptions of the intensive, intimate, and “muddy labor” of “making persons” (hitozukuri) with the wider historical resonances of these efforts, decentering common understandings of development, NGOs, and their moral and political promises. This engaging and thought-provoking book combines insights from anthropology, development studies, and religious studies to add to our understanding of modern Japan. The Nonprofit Sector in Eastern Europe, Russia, and Central Asia (EERCA), edited by David Horton Smith, Alisa V. Moldavanova, and Svitlana Krasynska, uniquely provides a research overview of the nonprofit sector and nonprofit organizations in eleven former Soviet republics, with each central chapter written by local experts. Such chapters, with our editorial introductions, present up-to-date versions of works previously published in EERCA native languages. With a Foreword by Susan Rose-Ackerman (Yale University), introductory and concluding chapters also explain the editors’ theoretical approach, setting the whole volume in several, relevant, larger intellectual contexts, and summarize briefly the gist of the book. The many post-Soviet countries show much variety in their current situation, ranging from democratic to totalitarian regimes. Europeanization in Sweden: opportunities and challenges for civil society organizations. The articulation between the social and solidarity-based economy (SSE) and territory is not self-evident. For the contributions to this volume, the challenge was one of disentangling these interrelations by avoiding two pitfalls. The first, the idealist perspective, sees SSE as the magic answer to all neoliberalism-related ills. The demystifing perspective, by contrast, emphasizes the relentless routinization and isomorphism of SSE enterprises, which eventually end up resorting to market-oriented and/or public economy oriented models. Local case studies can extricate from this dilemma. Close observation of complex local configurations where public, private, associative and cooperative actors and issues are deeply entangled, enables to achieve a nuanced understanding of the territorial dynamics of the SSE. This book is the result of the International Ciriec working group on SSE and territory (http://www.ciriec.uliege.be/en/research/commission-es/themes-en-cours/theme-de-recherche-1-2). It emanates from an interdisciplinary dialogue conducted among researchers from nine countries and two continents, Europe and America. growth and impact on American society. Using theories from the fields of philanthropy, public administration and data gathered from surveys and interviews, the authors make a compelling case for the Muslim American nonprofit sector’s key role in America. They argue that in a time when Islamic schools are grossly misunderstood, there is a need to examine them closely, for the landscape of these schools is far more complex than meets the eye. 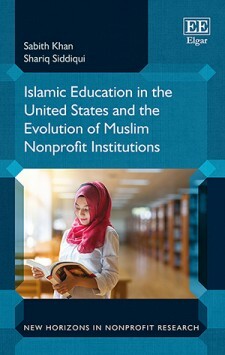 This is a must read for anyone seeking to understand this important and growing sector of American society, including nonprofit leaders in the Muslim community, leaders of Islamic schools, nonprofit leaders with interest in private schools, activists, and scholars who study philanthropy and Islamic education. This book deals with the literature on the French nonprofit sector (NPS). A preliminary part is devoted to presenting and discussing the characteristics that shape the approaches to this sector in France. We stress the strong influence of legal categories on the sector’s definition and, in this context, the importance of the status inherited from the 1901 Act on contracts of association. This raises a problem for a more analytical approach to the sector, because the diversity of the nonprofit organizations (NPOs) regulated under this Act risks being overshadowed. In this first part, we also underline the primacy accorded in France to the concept of the social economy, which has today become the social and solidarity economy (SSE), over that of the nonprofit sector. Economics for Nonprofit Managers and Social Entrepreneurs shows how economics contributes to better managerial decisions on social matters. This second edition of the original economics text for nonprofit managers, adds risk analysis, game theory, and behavioral economics to the managerial tool kit, along with analysis at the margin, opportunity cost, elasticity of demand and supply, market power, and cost/benefit analysis, with numerous timely examples. This text is essential for nonprofit managers and social entrepreneurs, and of interest to all economics students. Reframing Nonprofit Organizations: Democracy, Inclusion, and Social Change provides students with a critical perspective on nonprofit and voluntary organization management that isn’t typically included in most nonprofit management textbooks, but is often essential to what people working in nonprofit or voluntary organizations deal with on a daily basis. Thus, a critical perspective does not take apparent social structures, social processes, or accepted history for granted. Rather, a critical perspective insists on the power of agency—both personal and collective—to transform society. Each chapter of the book addresses a key topic or area of practice covered in nonprofit and voluntary organization management-related courses—such as history, governance, planning, or evaluation—but moves beyond the surface of the instrumental, one-size-fits-all approach typically presented on these topics, to discuss issues related to power, politics, control, and the possibility of democratic change. Contributing authors are nationally and internationally recognized scholars who dig beneath the surface of (often hidden) historically-specific, social structures—such as those related to politics, economics, culture, discourse, gender, and race—to illuminate how they lead to oppression and then to also reveal ways to change these structures. International Humanitarian NGOs and State Relations: Politics, Principles and Identityexamines the often discordant relationship between states and international non-governmental organisations working in the humanitarian sector. INGOs aiming to provide assistance to populations suﬀering from the consequences of conﬂicts and other human-made disasters work in the midst of very politically sensitive local dynamics. The involvement of these non-political international actors can be seen as a threat to states that see civil war as a state of exception where it is the government’s prerogative to act outside ‘normal’ legal or moral boundaries. Drawing on ﬁrst-hand experience of humanitarian operations in contexts of civil war, this book explores how the relationship works in practice and how often clashing priorities can be mediated. This is the fourth edition of a book that was, in 2008, the first to bring together the microeconomic insights on the functioning of non-profit organisations, complementing the wide range of books on the management of non-profit organisations by focusing instead on both theoretical and empirical work. Firstly, definitions of non-profit organisations are considered, after which the economic rationale behind their existence is examined, followed by a study of the demand for them and its implications for their functioning. The final chapters look at the economic idiosyncrasies of non-profit organisations’ management, focusing on the fields of strategic management, marketing, accounting and finance. This book will be perfect for advanced undergraduates and postgraduates engaged in the study of non-profit organisations and managerial economics. Edited by Bruce A. Seaman and Dennis Young, 2018. Nonprofit organizations are arguably the fastest growing and most dynamic part of modern market economies in democratic countries. This Handbook explores the frontiers of knowledge at the intersection of economics and the management of these entities. Top researchers in the field review the role, structure, and behavior of private nonprofit organizations as economic units and their participation in markets and systems of public service delivery, assess the implications of this knowledge for the efficient management of nonprofit organizations and the formulation of effective public policy, and identify cutting-edge questions for future research. Building on the success of the first edition, this thoroughly revised and expanded edition explores: (1) areas of general agreement from previous research; (2) areas of conflicting results and unexplored questions; (3) the relative roles of theory, data availability, and empirical analysis in explaining gaps in our knowledge; and (4) what must be done to improve our knowledge and extend the literature. Selected original chapters addressing especially challenging topics include: the value of risk management to nonprofit decision-making; nonprofit wages theory and evidence; the valuation of volunteer labor; property tax exemption for non-profits; when is competition good for the third sector; product diversification and social enterprise; international perspectives; the application of experimental research; and the macroeconomic effects of the nonprofit sector. By Stuart C. Mendel and Jeffrey L. Brudney. Bloomington, Indiana: Indiana University Press, 2018. 240 Pages. Cost: Hardback US $85.00; Paperback US $40.00; EBook US $39.99. By Rose Lindsey and John Mohan with Elizabeth Metcalfe and Sarah Bulloch. Bristol, UK: Policy Press, 2018. 224 Pages. Cost: Hardback £60; EBook £ 21.59 . There are great expectations of voluntary action in contemporary Britain but limited in-depth insight into the level, distribution and understanding of what constitutes voluntary activity.Drawing on extensive survey data and written accounts of citizen engagement, this book charts change and continuity in voluntary activity since 1981. How voluntary action has been defined and measured is considered alongside individuals’ accounts of their participation and engagement in volunteering over their lifecourses. Addressing fundamental questions such as whether the public are cynical about or receptive to calls for greater voluntary action, the book considers whether respective government expectations of volunteering can really be fulfilled. Is Britain really a “shared society”, or a “big society”, and what is the scope for expansion of voluntary effort? Part of the Third Sector Research Series, this book is informed by research undertaken at the Third Sector Research Centre, funded by the Economic and Social Research Council and Barrow Cadbury Trust. Edited by Pascal Dey and Chris Steyaert. Cheltenham, UK: Edward Elgar Publishing, 2018. 328 Pages. Cost: Hardcover US $135.00. Presented in five parts, each individual contribution uses a different critical perspective to analyse and assess social entrepreneurship in its mythological, ideological and performative constitution, looking for its democratic possibilities and alternative affirmations. Using varied analytical approaches, the resulting work highlights the need for a greater recognition of the unintended effects of social entrepreneurship and in doing so, adds nuance to a concept that has gone relatively unchallenged. In addition, each chapter identifies intriguing points for further research. By Diane Fu. Cambridge, UK: Cambridge University Press, 2017. 206 Pages. Cost: Paperback £ 21.99, Hardback £ 69.99, EBook US 22.00. When advocacy organizations are forbidden from rallying people to take to the streets, what do they do? When activists are detained for coordinating protests, are their hands ultimately tied? Based on political ethnography inside both legal and blacklisted labor organizations in China, this book reveals how state repression is deployed on the ground and to what effect on mobilization. It presents a novel dynamic of civil society contention - mobilizing without the masses - that lowers the risk of activism under duress. Instead of facilitating collective action, activists coach the aggrieved to challenge authorities one by one. In doing so, they lower the risks of organizing while empowering the weak. This dynamic represents a third pathway of contention that challenges conventional understandings of mobilization in an illiberal state. It takes readers inside the world of underground labor organizing and opens the black box of repression inside the world's most powerful authoritarian state. Edited by David C. Hammack and Steven Rathgeb Smith. Bloomington, Indiana: Indiana University Press, 2018. 432 Pages. Cost: EBook $41.99; Paperback $42.00; Hardbook $95.00. Once largely confined to the biggest cities in the mid-Atlantic and Great Lakes states, philanthropic foundations now play a significant role in nearly every state. Wide-ranging and incisive, the essays in American Philanthropic Foundations: Regional Difference and Change examine the origins, development, and accomplishments of philanthropic foundations in key cities and regions of the United States. Each contributor assesses foundation efforts to address social and economic inequalities, and to encourage cultural and creative life in their home regions and elsewhere. This fascinating and timely study of contemporary America's philanthropic foundations vividly illustrates foundations' commonalities and differences as they strive to address pressing public problems. By Graham Riches. Routledge, 2018. 204 Pages. Cost: EBook $19.98; Paperback $39.95; Hardbook $150.00. In the world’s most affluent and food secure societies, why is it now publicly acceptable to feed donated surplus food, dependent on corporate food waste, to millions of hungry people? While recognizing the moral imperative to feed hungry people, this book challenges the effectiveness, sustainability and moral legitimacy of globally entrenched corporate food banking as the primary response to rich world food poverty. It investigates the prevalence and causes of domestic hunger and food waste in OECD member states, the origins and thirty-year rise of US style charitable food banking, and its institutionalization and corporatization. It unmasks the hidden functions of transnational corporate food banking which construct domestic hunger as a matter for charity thereby allowing indifferent and austerity-minded governments to ignore increasing poverty and food insecurity and their moral, legal and political obligations, under international law, to realize the right to food. The book’s unifying theme is understanding the food bank nation as a powerful metaphor for the deep hole at the centre of neoliberalism, illustrating: the de-politicization of hunger; the abandonment of social rights; the stigma of begging and loss of human dignity; broken social safety nets; the dysfunctional food system; the shift from income security to charitable food relief; and public policy neglect. It exposes the hazards of corporate food philanthropy and the moral vacuum within negligent governments and their lack of public accountability. The advocacy of civil society with a right to food bite is urgently needed to gather political will and advance ‘joined-up’ policies and courses of action to ensure food security for all. 208 pages. Cost: Hardcover US$22.95; EBook $11.99. Robert B. Reich makes the case for a generous, inclusive understanding of the American project, centering on the moral obligations of citizenship. Rooting his argument in everyday reality and common sense, Reich demonstrates the existence of a common good, and argues that it is this that defines a society or a nation. Societies and nations undergo virtuous cycles that reinforce and build the common good, as well as vicious cycles that undermine it. Over the course of the past five decades, Reich contends, America has been in a slowly accelerating vicious cycle--one that can and must be reversed. But first we need to weigh what really matters, and how we as a country should relate to honor, shame, patriotism, truth, and the meaning of leadership. By Tymen J. van der Ploeg, Wino J. M. van Veen, and Cornelia R. M. Versteegh. Cambridge University Press, 2017. 548 pages. Cost: Hardcover US $140.00, Ebook US $112.00. The regulation of civil society provides the framework under which those organisations can most effectively provide services in education, health, social services, housing, development aid and so on. Civil Society in Europe identifies common principles of civil society law in two ways. First, the approaches of the Council of Europe and the European Union are explored. Next civil society regulation in twelve domestic legal systems are investigated on a broad range of substantive areas of law including internal organisation, registration, external supervision, public benefit organisations and international activities. From these, the authors distill a set of minimum norms and optimal conditions under which civil society can deliver its aims most effectively. This book is essential reading for policymakers and legislators across Europe and beyond. West Yorkshire: Emerald Group Publishing, 2017. 344 pages. Cost: Hardcover US $100, EBook $40.00. Shaping Social Enterprise offers the first tested framework that helps identify institutional influences affecting social enterprise. For well over a decade, scholars and practitioners have known that social enterprise looks different in different contexts but few have attempted to understand why. Kerlin’s work in this area is the first to consider the influence of large institutions such as government, economy, civil society, and culture on the development of social enterprise. This book provides an indepth assessment of Kerlin’s theoretically-based framework for understanding these institutional and other influences by means of quantitative analysis as well as qualitative critiques from eight countries that help validate and refine it. The concluding chapter offers a revision of the framework based on the critiques. New features include more attention to culture and micro- and meso-level forces as well as the introduction of optional framework components that address rarely occurring country situations. Two new social enterprise country models are also added and new applications of the framework are detailed. By Sue Kenny, Marilyn Taylor, Jenny Onyx and Marjorie Mayo. Bristol, UK: Policy Press, 2016. 256 pages. Cost: Hardcover £56.00; Paperback £21.59; EPub £21.59. This is the first book to explore the different relationships between active citizenship and civil society, particularly the third sector within civil society. In what ways can the third sector nurture active citizenship? How have the third sec tor and active citizenship been constructed and reconstructed both locally and internationally, over recent years? To what extent have new kinds of social connectedness, changing forms of political engagement and increasingly complex social and environmental problems influenced civil society action? Written by experts in the field, this important book draws on a range of theory and empirical studies to explore these questions in different socio-political contexts and will be a useful resource for academics and students as well as practitioners. By Sarah S. Stroup and Wendy H. Wong. Ithaca, New York: Cornell University Press, 2017. 206 pages. Cost: Hardcover US$95.00; Paperback $24.95. Not all international nongovernmental organizations (INGOs) are created equal, Some have emerged as “leading INGOs” that command deference from various powerful audiences and are well-positioned to influence the practices of states, corporations, and other INGOs. Yet Sarah S. Stroup and Wendy H. Wong make a strong case for the tenuous nature of this position: in order to retain their authority, INGOs such as Greenpeace, Oxfam, and Amnesty International refrain from expressing radical opinions that severely damage their long-term reputation. Stroup and Wong contend such INGOs must constantly adjust their behavior to maintain a delicate equilibrium that preserves their status. Activists, scholars, and students seeking to understand how international organizations garner and conserve power—and how this affects their ability to fulfill their stated missions—will find much of value in The Authority Trap. The authors use case studies that illuminate how INGOs are received by three main audiences: NGO peers, state policymakers, and corporations. In the end, the authors argue, the more authority an INGO has, the more constrained is its ability to affect the conduct of world politics. London, UK: Routledge, 2017. 552 pages. Cost: Hardcover US $192.00; Ebook US $43.96. The Routledge Handbook of Civil Society in Asia is an interdisciplinary resource, covering one of the most dynamically expanding sectors in contemporary Asia. Originally a product of Western thinking, civil society represents a particular set of relationships between the state and either society or the individual. Each culture, however, molds its own version of civil society, reflecting its most important values and traditions. This handbook provides a comprehensive survey of the directions and nuances of civil society, featuring contributions by leading specialists on Asian society from the fields of political science, sociology, anthropology, and other disciplines. Comprising thirty-five essays on critical topics and issues, it is divided into two main sections: Part I covers country specific reviews, including Japan, China, South Korea, India, and Singapore. Part II offers a series of thematic chapters, such as democratization, social enterprise, civic activism, and the media. The book offers an analysis of Asian social, cultural, and political phenomena from the perspective of civil society in the post-World War II era. By Dana Brakman Reiser and Steven A. Dean. Oxford, UK: Oxford University Press, 2017. 216 pages. Social enterprises represent a new kind of venture, dedicated to pursuing profits for owners and benefits for society. Social Enterprise Law provides tools that will allow them to raise the capital they need to flourish. Social Enterprise Law weaves innovation in contract and corporate governance into powerful protections against insiders sacrificing goals such as environmental sustainability in the pursuit of short-term profits. Creating a stable balance between financial returns and public benefits will allow social entrepreneurs to team up with impact investors that share their vision of a double bottom line. Brakman Reiser and Dean show how novel legal technologies can allow social enterprises to access capital markets, including unconventional sources such as crowdfunding. With its straightforward insights into complex areas of the law, the book shows how a social mission can even be shielded from the turbulence of an acquisition or bankruptcy. It also shows why, as the metrics available to measure the impact of social missions on individuals and communities become more sophisticated, such legal innovations will continue to become more robust. By providing a comprehensive survey of the U.S. laws and a bold vision for how legal institutions across the globe could be reformed, this book offers new insights and approaches to help social enterprises raise the capital they need to flourish. Bristol, UK: Policy Press, 2017. 224 pages. Charitable fundraising has become ever more urgent in a time of extensive public spending cuts. However, while the identity and motivation of those who donate comes under increasingly close scrutiny, little is known about the motivation and characteristics of the ‘askers’, despite almost every donation being solicited or prompted in some way. This is the first empirically-grounded and theorised account of the identity, characteristics and motivation of fundraisers in the UK. Based on original data collected during a 3-year study of over 1,200 fundraisers, the book argues that it is not possible to understand charitable giving without accounting for the role of fundraising. Edited by Amanda Lashaw, Christian Vannier and Steven Sampson. Tuscaloosa, Alabama: University Alabama Press, 2017. 280 pages. Cost: Hardcover US$59.95; Ebook US $59.95. advance a growing subfield of social science inquiry: the anthropology of nongovernmental organizations (NGOs). 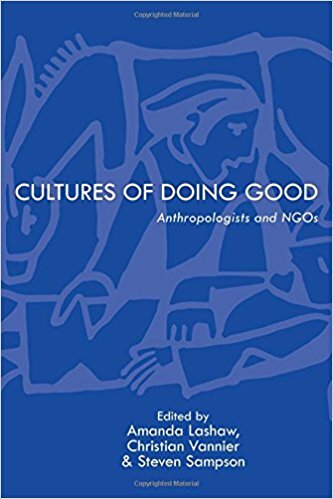 Thorough introductory chapters provide a short history of NGO anthropology, address how the study of NGOs contributes to anthropology more broadly, and examine ways that anthropological studies of NGOs expand research agendas spawned by other disciplines. In addition, the theoretical concepts and debates that have anchored the analysis of NGOs since they entered scholarly discourse after World War II are explained. The wide-ranging volume is organized into thematic parts: “Changing Landscapes of Power,” “Doing Good Work,” and “Methodological Challenges of NGO Anthropology.” Each part is introduced by an original, reflective essay that contextualizes and links the themes of each chapter to broader bodies of research and to theoretical and methodological debates. A concluding chapter synthesizes how current lines of inquiry consolidate and advance the first generation of anthropological NGO studies, highlighting new and promising directions in this field. In contrast to studies about surveys of NGOs that cover a single issue or region, this book offers a survey of NGO dynamics in varied cultural and political settings. The chapters herein cover NGO life in Tanzania, Serbia, the Czech Republic, Egypt, Peru, the United States, and India. The diverse institutional worlds and networks include feminist activism, international aid donors, USAID democracy experts, Romani housing activism, academic gender studies, volunteer tourism, Jewish philanthropy, Islamic faithbased development, child welfare, women’s legal arbitration, and environmental conservation. The collection explores issues such as normative democratic civic engagement, elitism and professionalization, the governance of feminist advocacy, disciplining religion, the politics of philanthropic neutrality, NGO tourism and consumption, blurred boundaries between anthropologists as researchers and activists, and barriers to producing critical NGO ethnographies. Adherence to basic human rights norms has become an expected feature of states throughout the world. In Europe, the promotion and protection of human rights through national governments has been enhanced by the diversity of intergovernmental organizations committed to this cause. The latest addition to the continent’s rights organizations arrived ten years ago when, based on the EU’s Lisbon Treaty, the Fundamental Rights Agency (FRA) was created as a functional institution to highlight and improve human rights within EU member states. In contrast to other regulatory agencies in the EU, the FRA provides a research-based advisory function for EU institutions and legislation and performs a public-diplomacy function in promoting fundamental rights across EU member states. Benefits theory connects an organization’s mission, the public and private benefits it produces, and the societal groups that it benefits, to an appropriate income mix. This book applies benefits theory to the financing of nonprofit and other social purpose organizations to guide managers and leaders towards finding the best mix of income sources for their organizations, to help educate future managers about resource development and to stimulate additional research on the financing of nonprofits and other forms of social enterprise. Individual chapters are devoted to organizations primarily reliant on earned income, gifts, government support and investment income, respectively, as well as to organizations that are well diversified in their sources of operating support. Each type of income, as well as mixed income portfolios are analyzed in depth. Detailed case studies of contemporary social purpose organizations are discussed throughout the book, and templates are provided to help leaders apply benefits theory to analyze the income opportunities and portfolios of their own organizations. Dominant narratives of philanthropy often portray Africans as mere recipients of aid, usually from well-endowed, Western almoners - the West distributing charity to impecunious Africans. The contributors to this volume turn this argument on its head and ask: what about the beneficent spirit of multitudes of Africans whose acts of generosity sustain millions of their compatriots? This volume is unique in that it illuminates research on philanthropy in Africa by using case studies and ethnographic material to examine a number of themes: cycles of reciprocity among black professionals, social justice philanthropy, community foundations, ubuntu and giving in township and rural settings. Leading thinkers on normative aspects of philanthropy in Africa also critically explore the theories, perspectives and research on philanthropy. This well-researched book will be an invaluable resource to foundations, civil society organizations, researchers, policymakers and students of patterns of giving in South Africa. In recent decades, Arab societies have seen profound changes in patterns of family relationships, education, employment, social and political structures, and wealth creation. Individuals who have earned or inherited wealth seek the most beneficial and responsible ways of sharing their resources with their societies. They also want to pass along to their children and grandchildren the values that have guided them in earning, using, bequeathing, and donating their resources. Family Legacies: Wealth and Philanthropy in the Arab World presents an overview of current approaches to family wealth and charitable giving in the Middle East. Barbara Ibrahim and Heba Abou Shnief interviewed more than twenty successful individuals from around the region, to learn about the principles that guide their philanthropy decisions, the reasons for their support of particular projects, and—perhaps most importantly—how they transmit to the younger generations not only financial resources, but the ideals and goals that guide them in the use of those resources to help others and improve society. Inspired by the book Wealth in Families by Charles Collier, and guided by the particular outlook and traditions of Arab societies, Family Legacies is a guide to the use and transmission of wealth and an affirmation of the strong tradition of charitable giving in the Middle East. Civil Society Organisations in Turbulent Times: A Gilded Web? London, UK: UCL Institute of Education Press, 2017. 224 pages. Cost: Until July the book is on 20% discount from the publishers’ site with code GILDED17-- about £18.50. Fundamental changes to British social policy have seen civil society organizations assume a significant role in welfare provision, but chasing money and status have come at a high price. What has happened to integrity and morality, when many voluntary service organizations have become trapped in a gilded web of neo-liberal arrangements and a rapidly privatizing services industry? Why are they reinforcing the social, economic and political systems they were originally established to reform? Drawing on contemporary research conducted in diverse service fields and from varied theoretical frameworks, the book offers vital analysis for people studying and working in civil society organizations, and for those concerned to reawaken the critical voices and independent spaces that could challenge the growing inequalities and failures of current social systems. Set within the context of growing political pluralism and the increasing use of new communication technologies for social mobilisation, the Institute of Policy Studies organised a national conference on civil society in November 2013. This collection of the essays that were presented at or inspired by the conference provides nuanced analyses of the development of the sector in Singapore since the Institute’s first such conference held in 1998. The first section of the book discusses the different philosophies and approaches that underpin how civic activists engage with the State; the second section examines some key forces of change that are re-shaping the sector; and, the third section sets out some emerging issues facing it. Combining insights from experts and civic activists themselves, this book proposes an agenda for the future development of the civil society in Singapore. Vancouver, BC: University of British Columbia Press, 2017. State of Exchange examines how – despite operating in a restrictive authoritarian environment – non-governmental organizations in China have increased dramatically as central and local states now permit migrant NGOs to deliver community services to workers in cities such as Beijing and Shanghai. Interacting with the layers and spaces of the Chinese state, NGOs conduct and scale up their programs, while the state engages with NGOs as a means to remain relevant and further legitimize its own interests. Jennifer Hsu uses a new conceptual framework to assess state–NGO relations and ultimately reveals how NGOs are navigating a complex web of government bodies, lending stability to, and forming mutually beneficial relationships with, the state. This book addresses the important and so far under-researched problem of the emergence of the sector of non-governmental development organisations (NGDOs) and their impact on Poland’s foreign policy. The cooperation between NGDOs and the respective state institutions is regarded as a significant aspect of the Polish model of development assistance. The life experience of Polish NGDO activists, their professionalism, but also the legacy of “Solidarity”, the lack of colonial heritage and the neutral image of the country represent our comparative advantage in development cooperation. Poland has the potential to play a more important role in development cooperation than her economic capacity would suggest, given the nation’s lack of imperial past, its positive record in striving after freedom and strong NGO sector. The author is right to point at the relationship between NGOs’ role and overall trends, like the decreasing role of government in all areas of life. The importance of the ethos of the Polish NGO sector for processes addressed in this book is likewise accounted for. One should positively assess the proposed explanation whereby the emergence and consequent moulding of Polish aid is considered a socio-cultural phenomenon closely related to the origins of Polish civil society. In a similar vein, the geographical focus of this assistance on our eastern neighbours cannot be rationalised by geo-political factors only, but should be explained by the organisational culture of the Polish NGO sector. The overview of literature in the bibliography indicates that both Polish and foreign studies have been consulted. To sum up, the book focuses on a so far little understood segment of reality, is based on research, goes beyond simple description, and strives after presenting the relationship between the country’s involvement in development cooperation and the organisational culture of Polish NGOs. The book situates the outcomes of the research in the wider perspective of the development of civil society in Poland. What is a philanthropist? Why do they do what they do? What impact do they have? What makes them tick? What in their personal biographies, their communities, their backgrounds, and their moment in time drove them to devote so much time to giving so much money away? Great Philanthropists provides an over-arching view of the development, goals and achievements of philanthropy around the world over the ‘long nineteenth century,’ the period in which organized philanthropy became a global movement. It examines how philanthropists make choices about which causes to support, their strategies for doing good, and the impact they have had. The studies include men and women (like Ei’ichi Shibusawa and Betty de Rothschild) from the USA, the UK, Germany, Portugal, South Africa, and Japan; and those who were self-made or who inherited wealth, Jews and Christians, even a monarch, King Edward VII. The book is prefaced with an introductory essay by the leading historian of wealth and the wealthy, Professor W.D. Rubinstein, that provides a magisterial overview of the whole phenomenon of ‘mega-philanthropy’ since the early 19th century. It shows how these case studies illuminate the great themes of motivation: faith, fear, hope, humanity and culture. Readable and informative, this collection offers an insight into the minds of the world’s richest people and shows how individual acts of charity can change society. Although more than a little controversial, Mary Kaldor’s academic work and ideas have both stimulated and influenced debate in the Pentagon, the United Nations, the European Union, NATO, and beyond. How did this come about? And how did Kaldor reach the conclusions outlined in her seminal books? Melinda Rankin traces the evolution of Kaldor’s work, revealing how her thinking developed from her years as an anti–Cold War activist and scholar in the 1970s-1980s, through her direct experiences of war in the Balkans and Caucasus, to her present support for rights-based international law enforcement to defend civilians from state and quasi-state violence. All governments, in various ways, regulate and control nonprofit organizations. Nongovernmental organizations (NGOs), while hopeful of supportive regulatory environments, are simultaneously seeking greater autonomy both to provide services and to advocate for policy change. In part to counter increasing statutory regulation, there is a global nonprofit sector movement towards greater grassroots regulation - what the authors call self-regulation - through codes of conduct and self-accreditation processes. 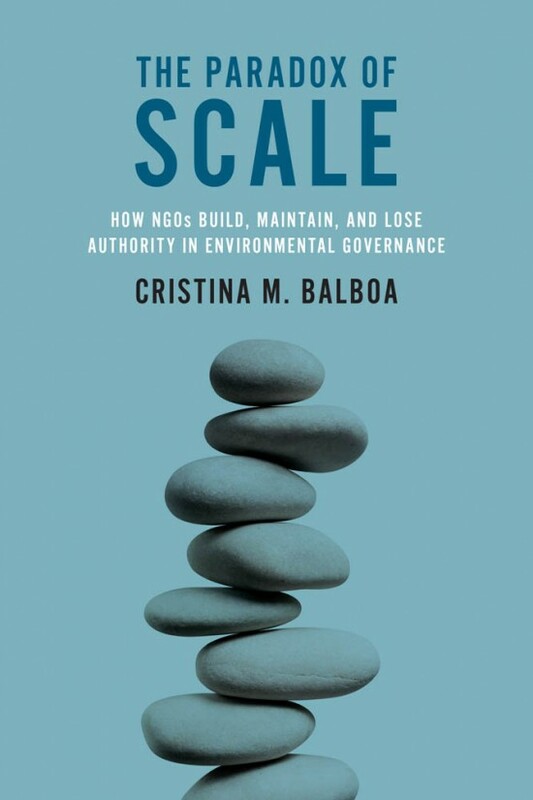 This book drills down to the country level to study both sides of this equation, examining how state regulation and nonprofit self-regulation affect each other and investigating the causal nature of this interaction. Exploring these issues from historical, cultural, political, and environmental perspectives, and in sixteen jurisdictions (Australia, China, Brazil, Ecuador, England and Wales, Ethiopia, Ireland, Israel, Kenya, Malawi, Mexico, Tanzania, Uganda, Scotland, United States, and Vietnam), the authors analyse the interplay between state control and nonprofit self-regulation to better understand broader emerging trends. The relevance of the relationship between public administration, citizens and organized civil society (in the form of associations and associations) in the policy process is particularly evident at the local level. The local politicians are regarded as pioneers of social change, and administrative reforms are first implemented. It is the local level that regularly and consistently demands social and democratic innovation. The anthology aims to reflect from a transnational perspective the different national patterns of this particular actor relationship and to analyze current local debates, local patterns of cooperation and policy approaches (procedures, strategies). The book is divided into two main parts: The first part covers the theoretical conception of the relationship between public administration, civil society and local democracy. In addition, the concept of innovation underlying this anthology is introduced. Methodological considerations on the measurability of innovations and the ability to innovate in the context of public administration from the bridge to the empirical part of the book. The second part presents innovations in local policy areas, such as city planning, housing market and child care. Whether you are a university professor, researcher at a think tank, graduate student, or analyst at a private firm, chances are that at some point you have presented your work in front of an audience. Most of us approach this task by converting a written document into slides, but the result is often a text-heavy presentation saddled with bullet points, stock images, and graphs too complex for an audience to decipher—much less understand. Presenting is fundamentally different from writing, and with only a little more time, a little more effort, and a little more planning, you can communicate your work with force and clarity. 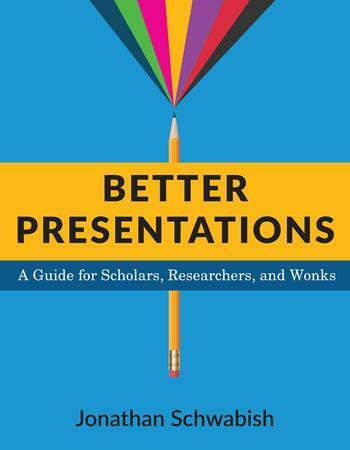 Designed for presenters of scholarly or data-intensive content, Better Presentations details essential strategies for developing clear, sophisticated, and visually captivating presentations. Following three core principles—visualize, unify, and focus—Better Presentations describes how to visualize data effectively, find and use images appropriately, choose sensible fonts and colors, edit text for powerful delivery, and restructure a written argument for maximum engagement and persuasion. With a range of clear examples for what to do (and what not to do), the practical package offered in Better Presentations shares the best techniques to display work and the best tactics for winning over audiences. It pushes presenters past the frustration and intimidation of the process to more effective, memorable, and persuasive presentations. Edited by Evandro Oliveira, Ana Duarte Melo and Gisela Goncalves. Wilmington, Delaware: Vernon Press, 2016. Communication in the public sphere as well as within organizational contexts has attracted the interest of researchers over the past century. Current forms of citizen engagement and community development, partly enabled through digital communication, have further enhanced the visibility and relevance of non-profit communication. These are performed by the civil society, which is ‘the organized expression of the values and interests of society’ (Castells, 2008) in the public sphere. Non-profit communication feeds the public sphere as ‘the discursive processes in a complex network of persons, institutionalized associations and organizations,’ whereas those ‘discourses are a civilized way of disagreeing openly about essential matters of common concern’ (Jensen, 2002). Despite the relevance in the public sphere, non-profit communication was never properly defined within communication research. The aim of the present book is to offer an overview and report on Strategic Communication for Non-Profit-Organisations and the Challenges and Alternative Approaches. Considering the assumption that a key principle of strategic communication is the achievement of organisational goals, the majority of research developed in the field has used business environments to develop theories, models, empirical insights and case studies. Here, we take a step towards new approaches centered on the concept of non-profit in various dimensions and from various perspectives, showing the diversity and complexity around this subject and at the same time the need of further theoretical and empirical work that provides frameworks and also tools for further understanding of the phenomena. We are often confronted with choices where morality and pragmatism seem to be at odds. In these situations, leaders are supposed to go with pragmatism—making “tough calls.” But Sasha Chanoff became a better leader—and saved lives—when he chose empathy and altruism. Through his extraordinary story and the stories of other brave leaders, this book inspires everyone to be guided by his or her deepest moral values. All leaders face defining moments, crises that reveal their true character. Here, Sasha and his father, David, expand on Sasha’s defining moment, recounted on The Moth podcast as “An Impossible Choice.” Working in the violence-torn Congo, he was charged with evacuating a specific group of refugees. Then he and his colleague discovered a group of widows and orphans not on the rescue list. Leaving them behind would mean their deaths. Attempting to take them would jeopardize the entire mission. From Crisis to Calling puts you with Sasha as he agonizes over what to do, revealing five principles for confronting critical decisions that emerged from this experience. The book tells the stories of eight other leaders—from business, government, the military, and nonprofits—who stayed true to their own moral values in the face of enormous pressure. They illustrate the power and fulfillment that come from investing your work with compassion, empathy, and an awareness of others. Unequal Partners offers a nuanced analysis of a US-led foundation initiative of uncommon ambition, featuring seven foundations with a shared commitment to strengthen capacity in higher education in Sub-Saharan African universities. The book examines the conditions under which philanthropy can be effective, the impasses that foundations often face, and the novel context in which philanthropy operates today. This study therefore assesses the shifting grounds on which higher education globally is positioned and the role of global philanthropy within these changing contexts. This is especially important in a moment where higher education is once again recognized as a driver of development and income growth, where knowledge economies requiring additional levels of education are displacing economies predicated on manufacturing, and in a context where higher education itself appears increasingly precarious and under dramatic pressures to adapt to new conditions. Nonprofits and Government provides students and practitioners with the first comprehensive, interdisciplinary, research-based inquiry into the collaborative and conflicting relationship between nonprofits and government at all levels: local, national, and international. The contributors—all leading experts—explore how government regulates, facilitates, finances, and oversees nonprofit activities, and how nonprofits, in turn, try to shape the way government serves the public and promotes the civic, religious, and cultural life of the country. Buttressed by rigorous scholarship, a solid grasp of history, and practical ideas, this 360-degree assessment frees discussion of the nonprofit sector’s relationship to government from both wishful and insular thinking. The third edition, addresses the tremendous changes that created both opportunities and challenges for nonprofit-government relations over the past ten years, including new audit requirements, tax and regulatory changes, consequences of the Affordable Care Act and the Great Recession, and new nonprofit and philanthropic forms. It is common for historians to interpret the United States’ postwar development campaigns as ill- advised attempts to impose modernity upon poorer nations. The small-scale projects that are popular today mark a retreat from that top-down, heavy-handed approach. But Daniel Immerwahr shows that community-based development is nothing new: it has been present since the origins of international development practice, existing alongside—and sometimes at the heart of—grander schemes to modernize the global South. His transnational study follows a set of strange bedfellows—the Peace Corps and the CIA, Mohandas Gandhi and Ferdinand Marcos, antipoverty activists and Cold Warriors—united by their conviction that development should not be about engineers building dams but about communities shaping their own fates. The programs they designed covered hundreds of millions of people in some sixty countries, eventually making their way back to the United States itself during the War on Poverty. Politicized Microfinance convincingly deftly argues for microfinance to return to its origins as a political tool, fighting for those living in the margins. While studies of policy analysis in other countries have assessed their needs and integrated them into training programmes for professional policy analysts, Japanese studies have been very limited. Policy Analysis in Japan brings together for the first time a detailed examination of the theory and practice of policy analysis systems in Japan, at different levels. The book provides expert analysis to closely examine to what extent the Japanese government has succeeded in providing key policy actors with evidence-informed policy options, thereby improving the likelihood of better policies being adopted and implemented. The book also assesses Japan’s future policy directions, allowing policy researchers and practitioners to draw a number of lessons from the Japanese experience. The book includes empirical case studies to aid teaching and further research. The Social Enterprise Zoo employs the metaphor of the zoo to gain a more comprehensive understanding of social enterprise: the diversity of its forms; the various ways it is organized in different socio-political environments; how different forms of enterprise behave, interact, and thrive; and what lessons can be drawn for the future development and study of organizations that seek to balance social or environmental impact with economic success. After setting the stage with a thorough introduction, top scholars explore the different ways that social enterprises can be classified, nurtured, and understood. The book not only details the legal forms utilized in social enterprise and the social entrepreneurs involved in them, but it also addresses the reasons for the success or failure of these activities and looks at the ecologies in which they operate. The “zookeepers,” such as governments and the regulatory regimes they establish, are compared and the important roles they play are examined. The volume concludes with a look at the future of social enterprise, providing suggestions for further research and implications for policy and practice. Women are at the heart of civil society organisations. Through them they have achieved many successes, challenged oppressive practices at a local and global level and have developed outstanding entrepreneurial activities. Yet Civil Service Organisation (CSO) research tends to ignore considerations of gender and the rich history of activist feminist organisations is rarely examined. This collection examines the nexus between the emancipation of women, and their role(s) in these organisations. Featuring contrasting studies from a wide range of contributors from different parts of the world, it covers emerging issues such as the role of social media in organising, the significance of religion in many cultural contexts, activism in Eastern Europe and the impact of environmental degradation on women’s lives. Asking whether involvement in CSOs offers a potential source of emancipation for women or maintains the status quo, this anthology will also have an impact on policy and practice in relation to equal opportunities. Governments throughout the developing world have witnessed a proliferation of non-governmental, non-profit organizations (NGOs) providing services like education, healthcare and piped drinking water in their territory. In Allies or Adversaries, Jennifer N. Brass explains how these NGOs have changed the nature of service provision, governance, and state development in the early twenty-first century. Analyzing original surveys alongside interviews with public officials, NGOs and citizens, Brass traces street-level government-NGO and state-society relations in rural, town and city settings of Kenya. She examines several case studies of NGOs within Africa in order to demonstrate how the boundary between purely state and non-state actors blurs, resulting in a very slow turn toward more accountable and democratic public service administration. This detailed analysis provides rich data about NGO-government and citizen-state interactions. Philanthropy is everywhere. In 2013, in the United States alone, some $330 billion was recorded in giving, from large donations by the wealthy all the way down to informal giving circles. We tend to think of philanthropy as unequivocally good, but as the contributors to this book show, philanthropy is also an exercise of power. And like all forms of power, especially in a democratic society, it deserves scrutiny. Yet it rarely has been given serious attention. This book fills that gap, bringing together expert philosophers, sociologists, political scientists, historians, and legal scholars to ask fundamental and pressing questions about philanthropy’s role in democratic societies. The contributors balance empirical and normative approaches, exploring both the roles philanthropy has actually played in societies and the roles it should play. They ask a multitude of questions: When is philanthropy good or bad for democracy? How does, and should, philanthropic power interact with expectations of equal citizenship and democratic political voice? What makes the exercise of philanthropic power legitimate? What forms of private activity in the public interest should democracy promote, and what forms should it resist? Examining these and many other topics, the contributors offer a vital assessment of philanthropy at a time when its power to affect public outcomes has never been greater. For over three decades in the UK, governments have sought to restrain or roll back the frontiers of the state, and to expand the scope for third sector involvement in the provision of welfare services. This book is the first edited collection to provide an up to date and comprehensive overview of the third sector’s role in public service delivery. Exploring areas such as social enterprise, capacity building, volunteering and social value, the authors provide a platform for academic and policy debates on the topic. Drawing on research carried out at the ESRC funded Third Sector Research Centre, the book charts the historical development of the state–third sector relationship, and reviews the major debates and controversies accompanying recent shifts in that relationship. Major developments in third sector issues in the last decade or so provide the rationale for a series which will present new research findings that addresses key academic and policy debates in relation to the third sector. That was also the rationale for the Third Sector Research Centre, from whose first five-year programme of work this volume represents the first book-length output. This series will draw on the work of that centre but it will also welcome proposals for volumes which address its key focus: the organisational base of the third sector and in particular on the roles, resources, responsibilities and relationships of third sector organisations. We begin with James Rees and David Mullins’ edited collection on the role of the third sector in public service delivery. The authors address this from various perspectives: discussing the limitations of the evidence base, providing longer-term perspectives on shifts in policy, considering the different elements of the voluntary sector (including social enterprises and spinoffs from the public sector) and their relationship to public service provision, analysing the role played by volunteers, and assessing the effects on organisations of changing incentive structures and pressures to demonstrate social returns. The authors collectively reject unidirectional characterisations of current policy developments as neoliberal pure and simple, and instead demonstrate the tensions and dilemmas posed for the third sector by changing external conditions. They show how TSOs negotiate these pressures and are able, within what is undoubtedly a tough operating environment, to innovate and find some scope for manoeuvre. Despite the constraints and indeed the possibility of perma-austerity, the authors conclude optimistically that the ability of individuals and communities to organise to meet public needs should not be underestimated. The third sector will continue to be in demand for its potential contribution to the development and reform of public services. The contributions in this book set a benchmark for future studies of this important field. Cases in Innovative Nonprofits provides readers with current comparative case studies of innovative nonprofit organizations that are meeting the needs of humanity in both the U.S. and abroad. This text provides inspiring examples of social entrepreneurs who have instituted new services to meet the needs of both new and long standing social problems. Each case features either an unidentified need and its successful response, or an existing need that was tackled in a unique and innovative manner. As China becomes increasingly integrated into the global system there will be continuing pressure to acknowledge and engage with non-governmental organizations (NGOs). Suffice to say, without a clear understanding of the state’s interaction with NGOs, and vice versa, any political, economic and social analysis of China will be incomplete. This book provides an urgent insight into contemporary state-NGO relations. It brings together the most recent research covering three broad themes, namely the conceptualizations and subsequent functions of NGOs; state-NGO engagement; and NGOs as a mediator between state and society in contemporary China. The book provides a future glimpse into the challenges of state-NGO interactions in China’s rapidly developing regions, which will aid NGOs strategic planning in both the short- and long-term. In addition, it allows a measure of predictability in our assessment of Chinese NGOs behaviour, notably when they eventually move their areas of operation from the domestic sphere to an international one. Social policy, public policy, and social welfare policy are some of our most powerful tools for shaping and interacting with the world. Our world, however, is constantly changing, so when we consider policies we must always make sure that we are acting based on the current realities rather than a distant past. There are new challenges that shape our society. Every day, people are confronted with unprecedented threats to their well-being--threats to economic welfare from an emerging global information economy, environmental threats that risk health and safety, and global political instability that has repercussions beyond national borders. Social Welfare Policy: Responding to a Changing World is unlike other books used in social welfare policy courses. John McNutt and Richard Hoefer explicitly address the emerging information economy, the rise of globalization, and the developing environmental crisis, and provide a tightly integrated framework for understanding these forces and their impact on policy and practice. This framework is applied to the six traditional arenas of policy--child and family services, health and mental health, poverty and inequality, housing and community development, crime and violence, and aging--exploring how to find new solutions to problems both long enduring and brand new. There is an urgency to this text that is clearly communicated to readers--it is time for practitioners, researchers, and policy-makers to make decisions for the future based on the realities of the present. Migrant women stepping into ethnic catering; homeless men employed to take care of bees producing honey for sale; young people on the edge getting microcredit funding to start social businesses; or former criminals joining forces to create social and economic structures for an honest lifestyle. These initiatives capture the transformative power of social enterprise and might indicate how social enterprises have the potential to make a difference for people and societies. The Nordic countries represent an interesting case. Social enterprises and co-operatives played a significant part in paving the way for the Nordic solicaristic welfare state. As the welfare state grew, civil society organizations and co-operatives lost ground, to a certain extent. But in recent decades, the welfare state has been restructured and, simultaneously, the concepts social entrepreneurship and social enterprises have gained attention. The Nordic context, with extensive public welfare structures and a high degree of citizens’ participation in public affairs, might affect the emergence of social entrepreneurship and social enterprises. This book examines the depth and breadth of experience in community work practice in Aotearoa New Zealand with examples from practice from the Otago and Southland/Murihiku region. While the examples are drawn from this area, their application is universal, encompassing the theory and practice (‘praxis’) of community development as both a process and a way of perceiving the world. Case studies presented within an editorial structure together provide a useful, insightful and easily read community work resource for practitioners and students. This volume overlooks the distinct expressions and awareness of volunteering in the lived reality of people from different regions of the world. By casting the net widely this book not only expands the geographic reach of experiences, models and case studies but also transcends the conventional focus on formal volunteering. It highlights institutional forms of volunteering specific to developing nations and also describes volunteering that is more loosely institutionalized, informal, and a part of solidarity and collective spirit. As a result this book provides a different look at the values, meaning, acts and expressions of volunteering. The chapters in this book consist of essays and case studies that present recent academic research, thinking and practice on volunteering. Working from the premise that volunteering is universal this collection draws on experiences from Latin America, Africa including Egypt, and Asia. This book focuses on developing countries and countries in transition in order to provide a fresh set of experiences and perspectives on volunteering. While developing countries and countries in transition are in the spotlight for this volume, the developed country experience is not ignored. Rather the essays use it as a critical reference point for comparisons, allowing points of convergence, disconnect and intersection to emerge. By Michael Moody and Beth Breeze. Cost: Hardback: US $175; Paperback: US $67.95. Philanthropy is both timeless and timely. Ancient Romans, Medieval aristocrats, and Victorian industrialists engaged in philanthropy, as do modern-day Chinese billionaires, South African activists, and Brazilian nuns. Today, philanthropic practice is evolving faster than ever before, with donors giving their time, talents, and social capital in creative new ways and in combination with their financial resources. These developments are generating complex new debates and adding new twists to enduring questions, from “why be philanthropic?” to “what does it mean to do philanthropy ‘better’?” Addressing such questions requires greater understanding of the contested purpose and diverse practice of philanthropy. With an international and interdisciplinary focus, The Philanthropy Reader serves as a resource that brings together essential and engaging extracts from key texts and major thinkers, and frames these in a way that captures the historical development, core concepts, perennial debates, global reach, and recent trends of this field. The book includes almost 100 seminal and illuminating writings about philanthropy, equipping readers with the guiding material they need to better grasp such a crucial yet complex and evolving topic. Additional readings and discussion questions also accompany the text as online supplements. Civil Society, the Third Sector and Social Enterprise. Governance and Democracy. Edited by Jean-Louis Laville, Dennis R. Young, Philippe Eynaud. Cost: Hardback: £95.00; Paperback: £34.99. If the twentieth century was only focused on the complementarity and the opposition of market and state, the twenty-first century has now to deal with the prominence of the third sector, the emergence of social enterprises and other solidarity hybrid forms. The concept of civil society organisations (CSOs) spans this diversity and addresses this new complexity. The first part of the book highlights the organizational dimensions of CSOs and analyses the growing role of management models and their limits. Too often, the study of CSO governance has been centered on the role of the board and has not sufficiently taken into account the different types of accountability environments. Thus, the conversation about CSO governance rises to the level of networks rather than simple organizations per se, and the role of these networks in setting the agenda in a democratic society. In this perspective, the second part emphasizes the institutional dimensions of CSO governance by opening new avenues on democracy. First, the work of Ostrom about governing the commons provides us new insights to think community self-governance. Second, the work of Habermas and Fraser opens the question of deliberative governance and the role of public sphere to enlarge our vision of CSO governance. Third, the concepts of substantive rationality and economy proposed respectively by Ramos and Polanyi reframe the context in which the question can be addressed. Lastly, this book argues for a stronger intercultural approach useful for the renewal of paradigms in CSOs research. This book presents a unique collective work in bringing together 33 authors coming from 11 countries to share perspectives on civil society governance. The Routledge Companion to Philanthropy. Edited by Tobias Jung, Susan D. Phillips and Jenny Harrow. Philanthropy – the use of private resources for public purposes – is undergoing a transformation, both in practice and as an emerging field of study. Expectations of what philanthropy can achieve have risen significantly in recent years, reflecting a substantial, but uneven, increase in global wealth and the rolling back of state services in anticipation that philanthropy will fill the void. In addition to this, experiments with entrepreneurial and venture philanthropy are producing novel intersections of the public, non-profit and private spheres, accompanied by new kinds of partnerships and hybrid organisational forms. The Routledge Companion to Philanthropy examines these changes and other challenges that philanthropists and philanthropic organisations face. With contributions from an international team of leading contemporary thinkers on philanthropy, this Companion provides an introduction to, and critical exploration of, philanthropy; discussing current theories, research and the diverse professional practices within the field from a variety of disciplinary perspectives. Negotiating Knowledge: Evidence and Experience in Development NGOs. Edited by Rachel Hayman, Sophie King, Tiina Kontinen, and Lata Narayanaswamy. Cost: Hardback: £ 47.45; Paperback: £ 18.95. This book critically examines how non-governmental organisations (NGOs) involved in development work around the world are engaging with knowledge and evidence creation, management and use. It looks at how evidence, research and knowledge are used to inform the design and implementation of development interventions. The context is one where NGOs are under pressure from governments that are changing how they fund international development or placing restrictions on NGOs, and from a public that is sceptical of how NGOs manage their affairs and achieve their goals. The eight studies that form the core of the book span scholarly and practitioner research across three continents. They cover local organisations in Africa and Asia, as well as major international organisations that operate globally. They tackle political issues in the international development policy environment that determine what forms of evidence and knowledge are given credence. They explore the power dynamics that shape the value placed on knowledge and learning in relationships within organisations and between organisations. The authors argue that NGOs need to re-examine how they use knowledge and evidence in order to make it work better for themselves and for the people that they are aiming to represent and assist. To do this well, they have to better understand what they mean by knowledge and evidence, revisit the value that they place on learning and knowledge, invest in appropriate capacity and skills, and better navigate the underlying power dynamics that can act as barriers to effective use of different forms of knowledge and evidence in practice. Social Innovations in the Urban Context. Edited by Taco Brandsen, Sandro Cattacin, Adalbert Evers, and Annette Zimmer. Springer, 2016. (Nonprofit and Civil Society Studies Series) 313 pages. 2. What patterns can be identified in social innovations emerging at the local level? 3. How is the emergence and spread of social innovations related to urban governance? More precisely, which conditions and arrangements facilitate and hinders social innovation? Practicing Professional Ethics in Economics and Public Policy. Cost: Hardcover US $129; E-book US $99. This volume explores the professional ethics and addresses the varied ethical needs of the professional economists and public policy professionals. Using terms and methods familiar to the reader, the book goes beyond the typical narrative of economics and morality to walk the professional through the process of ethical decision-making. This book includes a step-by-step illustrated guide through an ethical decision-making process using a methodology specifically tailored to economists and policy professionals. It describes numerous unique ethical tests and resolution methods which are utilized in a portfolio structure. The book also includes a brief and convenient catalogue of important figures in philosophy and ethics, translated into their policy applications; it concludes with candid advice from experts in different subfields on how ethics impacts their professional lives. This volume provides a foundation and framework for those in economics and public policy to implement a relevant practice of professional ethics both at and in their work. Making Immigrant Rights Real. Nonprofits and the Politics of Integration in San Francisco. Cornell University Press, 2016. 240 pages. Cost: Hardcover: US $89.95; Paperback: $22.95, £ 15.50. More than half of the 41 million foreign-born individuals in the United States today are noncitizens, half have difficulty with English, a quarter are undocumented, and many are poor. As a result, most immigrants have few opportunities to make their voices heard in the political process. Nonprofits in many cities have stepped into this gap to promote the integration of disadvantaged immigrants. They have done so despite notable constraints on their political activities, including limits on their lobbying and partisan electioneering, limited organizational resources, and dependence on government funding. Immigrant rights advocates also operate in a national context focused on immigration enforcement rather than immigrant integration. In Making Immigrant Rights Real, Els de Graauw examines how immigrant-serving nonprofits can make impressive policy gains despite these limitations. Drawing on three case studies of immigrant rights policies—language access, labor rights, and municipal ID cards—in San Francisco, de Graauw develops a tripartite model of advocacy strategies that nonprofits have used to propose, enact, and implement immigrant-friendly policies: administrative advocacy, cross-sectoral and cross-organizational collaborations, and strategic issue framing. The inventive development and deployment of these strategies enabled immigrant-serving nonprofits in San Francisco to secure some remarkable new immigrant rights victories, and de Graauw explores how other cities can learn from their experiences. Public and Third Sector Leadership: Experience Speaks. Edited by Brian Howieson and Julie Hodges. Bingley, UK: Emerald Group Publishing, 2016. 220 pages. Cost: Hardback £ 70.99; Paperback: £ 25.00, € 35.00; US $40.00. For those bold enough to lead in this age of austerity, the challenges are immense. Seismic shifts have taken place in the public and third sectors. Political, economic, technological, and social change are driving profound transformation of organizational models, making predictability and stability elusive. The combined effects of the economic downturn and cutbacks in spending are hitting leaders in the public and third sectors hard. Written by leaders in these sectors, this book provides an opportunity for the voices of those rarely considered in the literature on leadership to be heard. Each leader has contributed their personal reflections of what leadership means to them and their experience of it. They also consider the complex challenges they face as they grapple with changes in the economy, polity and society. Public and Third Sector Leadership: Experience Speaks provides an analysis of the research in the public and third sectors and the reflections written by each leader, highlighting the key themes from each sector. This is a unique opportunity to hear from the men and women who have demanding leadership positions in the public and third sectors in the UK today.